I recently went through the painstaking and elaborate process of deciding on and purchasing a go-to backpack for my travels. Not every trip requires a backpack (and some day I’ll post guides for choosing and buying other luggage), but if you’ve decided that your trip and travel style suits itself to a backpack, then this is the post for you. Throughout, you’ll find photos and links to top-reviewed packs for purchase. While I haven’t used every model listed, they are high-quality, well-respected makes and models, and you’d be well-served by any of them. What size pack do you want? Once you’ve decided that you’re in the market for a backpack, the next question to think about is how big a pack would best suit your needs. This will depend on two variables: your packing style, and the length of your trip. First thing to know: backpacks are measured by their volume in liters. 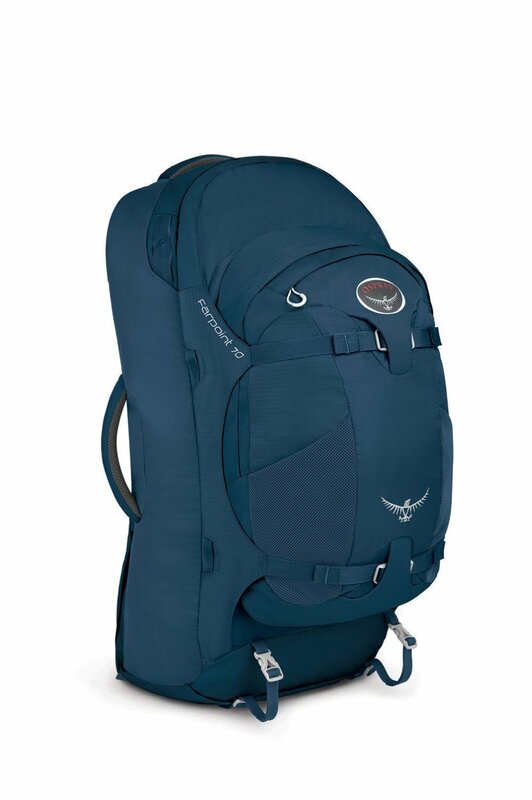 A normal day pack (i.e., a backpack for a day trip requiring no camping equipment) runs between 15 and 35 liters. 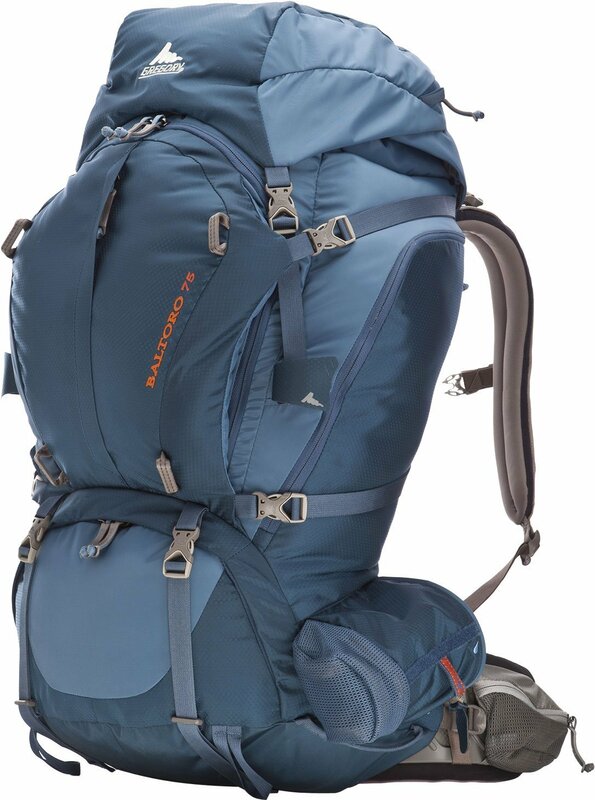 A standard hiking or “travel” pack runs between 45 and 75 liters. Sometimes you’ll see backpacks listed as 50 + 10 liters – that means that the standard back size is 50 liters, but can expand (usually because it has a floating lid – i.e., a lid that has adjustable straps on front and back) to carry an extra 10 liters, if you so choose. There are a number of trade-offs in pack size that you should take into consideration as you’re narrowing down your pack needs. A smaller pack is lighter, easier and more comfortable to carry over long distances, more nimble to maneuver through crowded spaces, and more likely to count as a carry-on bag if you’re flying with it. It can also severely limit what you can pack. A larger bag gives you space to pack that extra pair of shoes and pick up souvenirs. It will probably also come with a lot more bells and whistles – extra features, pockets, and doodads (these come off the minimalist backpacks because zippers add significantly to the weight of a pack). It’s also more difficult to maneuver. In my experience, most people buy backpacks in the vicinity of 65 liters for major trips. Most companies that sell bags recommend this size for trips 1-2 weeks – check out REI’s recommendations for luggage sizes. When deciding on which pack to invest in, I considered my usual destinations and lengths of trip for which I would be using a backpack. I travel for extended periods of time (i.e., 3 weeks straight), moving every few days, in both developed and under-resourced countries. My two highest priorities were having a carry-on sized bag, and one that I could carry for extended periods of time on semi-remote backpacking trips. I don’t often do much backcountry hiking, so I didn’t need space to carry a tent or food (most of the time). I also hate bag-creep (that horrible feeling where more and more stuff keeps getting added to your luggage as you pack / travel, until you’re eventually returning home with a behemoth that’s twice as large as you intended). I also know that I have a great 20 liter day pack that I’ve lived out of for two weeks straight with no problem. All of this, combined with my minimalist-packing aesthetic, came together to convince me that my ideal bag was somewhere in the 32-40 liter zone. Travel backpack or hiking backpack? Once you’ve decided on the size range of your ideal pack, you should get familiar with the two main types of travel backpacks. The first type, and the kind you’re probably picturing in your head, is a hiking pack. These are designed for use by hikers headed into the back country, hauling food, water, and gear. As a result, they’re designed to be comfortable, even when heavy, and when carried for long periods over rough terrain. They also tend to come with the bells and whistles hikers need – built-in rain covers so that can be quickly whipped out in case of a sudden rain storm, integrated pockets for hydration bladders, well-placed compression straps, and lash-points for things like hiking poles and ice picks. They often have lots of straps and doo-dads hanging off of them, which can get caught in conveyor belts in airports when they’re checked, and often have unusual dimensions for airline luggage. They tend to be tall and narrow, as weight is easier to carry and packs are easier to maneuver when they are carried close to your body. These packs also tend to be packed from the top, and close with a drawstring and snap-over lid. This is designed to allow easy access while the pack is being carried, and also to make the bag easier to waterproof (every zipper is also a point for water to enter). The other type of backpack that’s developed in recent years is the travel backpack. This pack is designed particularly for people who are more often walking through the streets of Florence than hiking the backwoods of Yosemite. These bags attempt to marry the advantages of a hiking backpack with the needs of travelers. They tend to be shaped more like a rolling bag, and therefore fit more naturally with airline dimensions. They also tend to open in the front (like a roller bag), making them easier to pack and unpack at a hostel every night. Most also have stowaway straps, meaning the back can be converted to a sleek, strap-free wonder, keeping your back safe from the perils of airport conveyor belts. Many come with integrated day packs, that you can unzip and take with you on your day-long excursions. The downside – these bags tend to compromise on comfort and balance, assuming that you’re not carrying your bag for great distances. Those convenient stowaway straps tend to be less supportive, and the nice square shape and front entrance usually means that the back support is compromised. They are often shorter and deeper than hiking bags, decreasing pack awareness (i.e., your ability to intuitively sense where your pack is and therefore not bump people or things with it). I’ve used both types of bags, and fully believe that either can be useful. 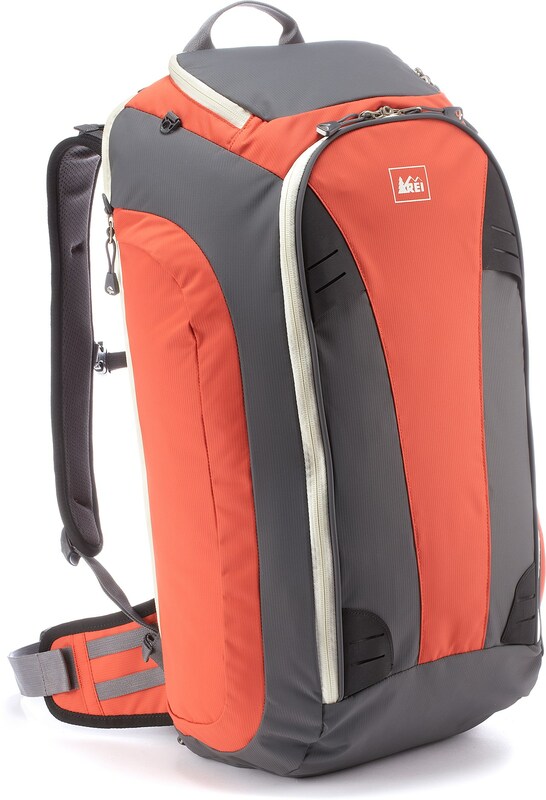 Many people are huge fans of the large (65-70 liter) travel pack. I’ve used large packs, and personally find them cumbersome. Usually, if I need to carry that much stuff, I’m probably more inclined to use a roller bag – but everyone travels differently. 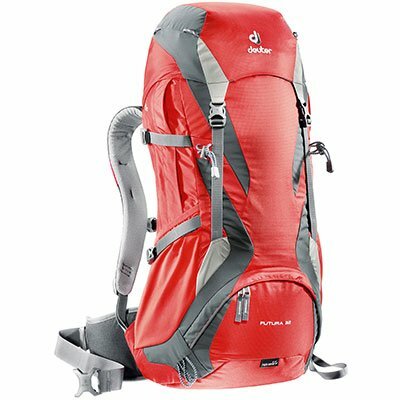 I am intimately familiar with both travel packs and backpacking packs, and have generally found the former uncomfortable and cumbersome to carry. The main drawbacks of a backpacking bag were twofold: 1. They have straps which get caught in conveyor belts and then unceremoniously slashed by baggage handlers and 2. Their top-loading style is more difficult to keep tidy, especially if you’re in and out of hostels every night. These two concerns were mitigated for me by the fact that A. I was planning to get a small, carry-on sized bag anyway, leaving my bag free from the clutches of baggage men and B. using stuff sacks and packing folders keeps my stuff organized, anyway. The comfort of a hiking bag beat out the potential conveniences of a travel pack. If there’s one piece of advice I could give, it’s PLEASE go get fitted by a professional before you purchase an expensive backpack. Backpacks are like hiking boots – it doesn’t matter how high the quality or how cool the features, if it doesn’t fit you, you’ll be miserable carrying it. How a pack feels against your back, how it pulls on your shoulders and sits on your hips is something you won’t be able to find out from an online listing. Go talk to a professional at your local outdoor store – ask to get measured, and then try out several packs in the size you’re looking for in the store. Most stores also have weighted bean bags that will give you an idea of how the pack will feel when fully loaded, and the best sales people will also teach you the best way to pack your bag. You may find that you can carry more than you’d anticipated, or realize that you’d prefer to stick with a smaller bag. All of this is better to discover BEFORE you drop a couple hundred dollars on a pack. Not a question, so much – but I did extensive testing of a few varieties of packs, using the most scientific method possible: I borrowed them from my friends. I used a friend’s version of the bag I ended up buying (a Deuter Futura 32 liter, above) for my trip along the Camino de Santiago in December, and loved it. I also got measured and fitted at my local REI, and tried out several different makes and models. Finalists from Osprey and Kelty put up a good fight, but I’d already fallen in love with the Deuter. I love their suspension system, and how it sits against my back. You’ll notice that it’s marketed as a daypack, but it’s the perfect size for me, and it just fits within European carry-on guidelines. Hopefully, this will get you started on some of the big questions to ask when thinking about buying a backpack for travel. There are certainly a lot more features to discuss, which I might get to some day – but until then, there are plenty of great online resources on how to choose a great backpack. Until then, leave your questions in the comments! 5 of the best travel backpacks for global adventures. SnarkyNomad has vastly different taste in travel luggage than I do, but he gives good advice on what to look for in a great bag. Outdoor Gear Lab has excellent and reliable advice and reviews on all sorts of gear, and their advice for travel backpacks is top notch. TravelFashionGirl posts a step-by-step guide to choosing a pack. Some of it is repeated in this post, but it’s worth a read.